The more I muse over this Get Help Worldwide community the more I ask the question, ‘Where have they been since?’ I’ve got no answer from anyone except from the facts that speak for themselves. 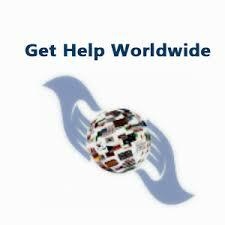 Really, Get Help Worldwide have been around since with their potpourri bonuses that wahoo you because they carry no risk. Read on to enjoy those bonuses. Read also: New to GHW? This Is How It Works? GHWorldwide Registration bonus is straightforward. When you join the community, you get a One Time Registration Bonus as you register. This is given in Bitcoin or in your Local Currency. If it is in Bitcoin, you get from $20 to $100. And if it is in Local Currency, you get anything within the range of 4,000 to 20,000. For this bonus structure to work for you just that way, your first Pledge to Provide Help must fall within the bonus range. If not, you may not get it as you desired because the System will be pulled apart for bonuses. Let me help break down the Registration Bonuses. 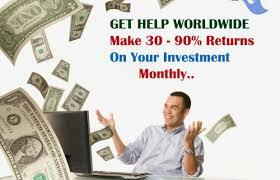 • You will earn $100 as Registration Bonus if you make a contribution of anything from $3’000 and above. 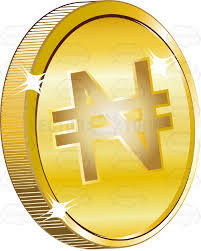 • You will earn 20,000 as Registration Bonus if you make a contribution of anything from 650,000 and above. What shields GWH community from the common risks that have broken participants’ heart in other networks here is that the bonuses are earned once for all time, not repeatedly. GHWorldwide referral bonus has a sincere goal. It is not designed to coerce members into looking for new participants as if such they are compelled to be going around preaching to the people in order for them to survive on the contribution of those that join them in the business. Since the whole idea is about contributing to making your own community great, inviting new members should be seen first and foremost as part of your contribution to the development of GHW community. That is why you lose nothing if you don’t invite new members, in GHW no one is forced to bring in new participants. However, there is no shying away from the truth that for continued existence of the platform there must be an expansion of the membership and members’ contribution. That is why GHW has adopted a definite referral bonus to encourage participants to take an active interest in expanding the membership. The referral bonus for that is simple and sweet; you will be given 10% of all deposits of every participant you invited to the community. GHWorldwide does not create any room for guiders or sponsors. The reason is simple. In practice, it has been observed that through excess and endless bonuses being given to Guiders from descendants trickling downward, the system is being drained. That is why GHWorldwide does not support it to avoid being drained and in order to last forever. Yet, there are provisions that make for juicy take-home bonuses. There are Representatives in the system, and that is only what the system allows. As a representative, you get an extra 5%-10% of your Provide Help Offer apart from your normal bonus which is 30% in 30 days if you are dealing with GHW the Local Currency or 50% if your deals are in Bitcoin in 30days. This depends on how hard-working you are as you will soon see when you become more conversant with rules of engagement. Perhaps what I should share with you next are those rules.